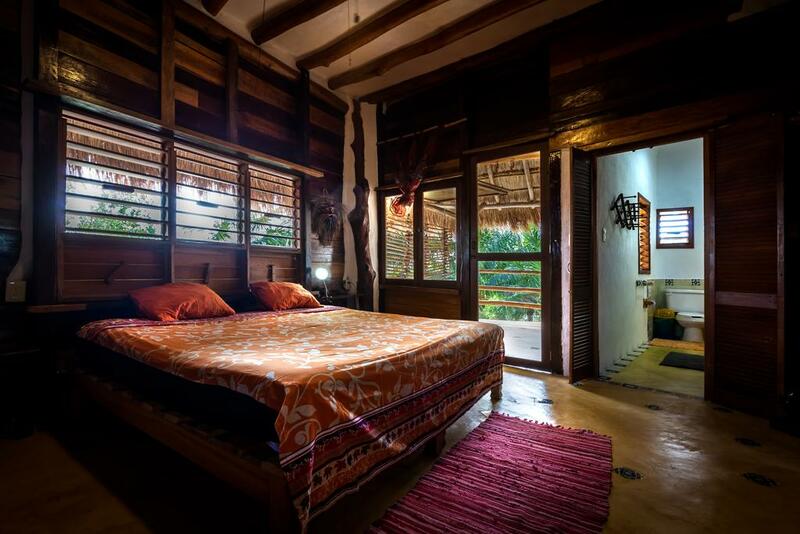 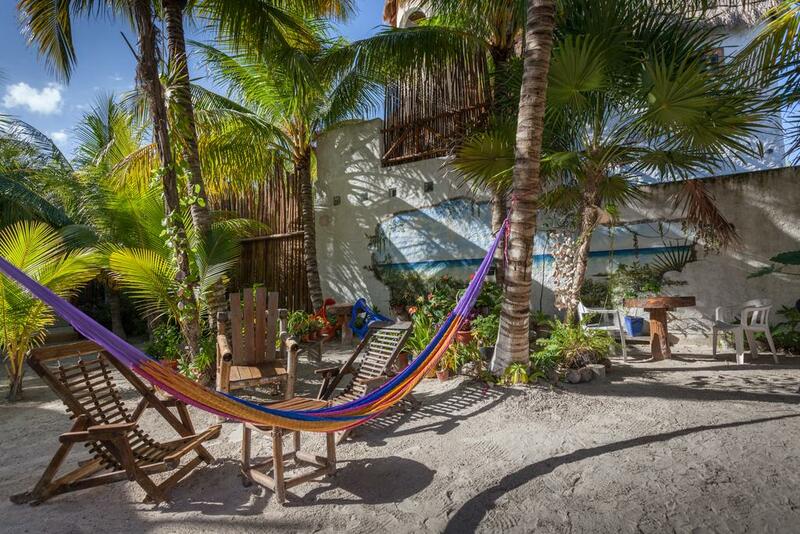 Casa Cereza , a cozy apartment , steps from the beautiful beach of Holbox , is ideal for those who want to be in a quiet resting place away from the noise of the hotels with many guests . 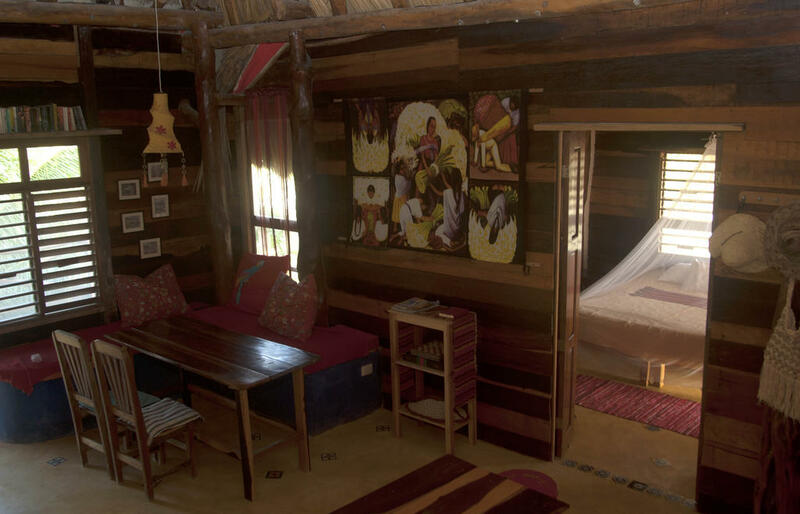 It is a place where you will feel at home. 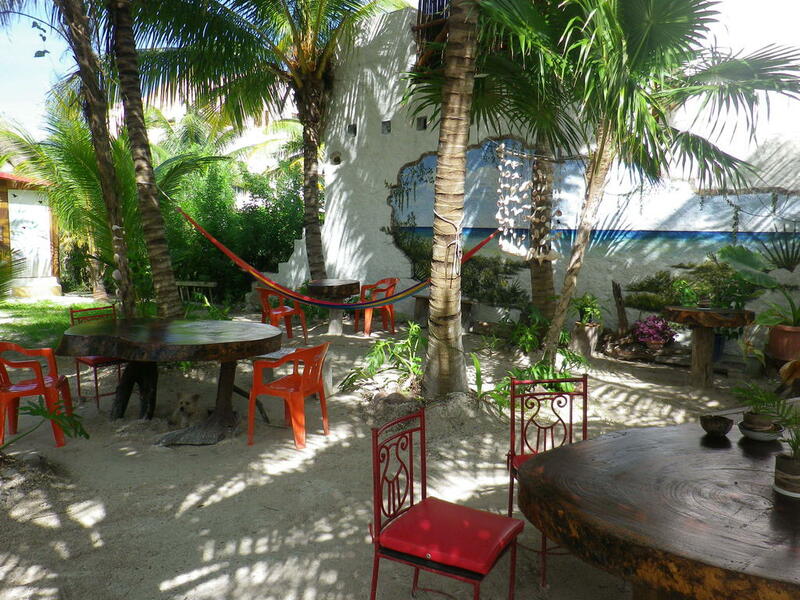 It is located 1 km south of Holbox dowtown on the road that goes from the airport to the west side of the island. 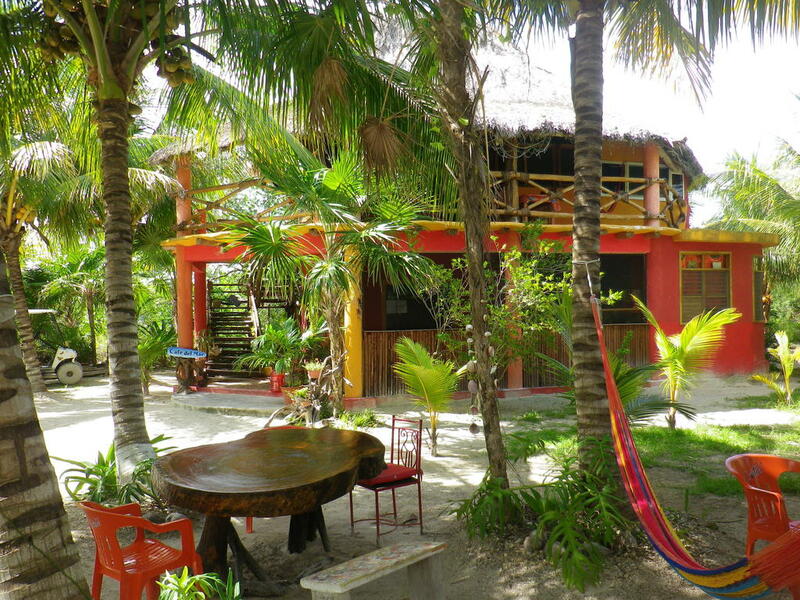 The house is surrounded by palm trees and gardens with a unique Caribbean and Mexican decoration. 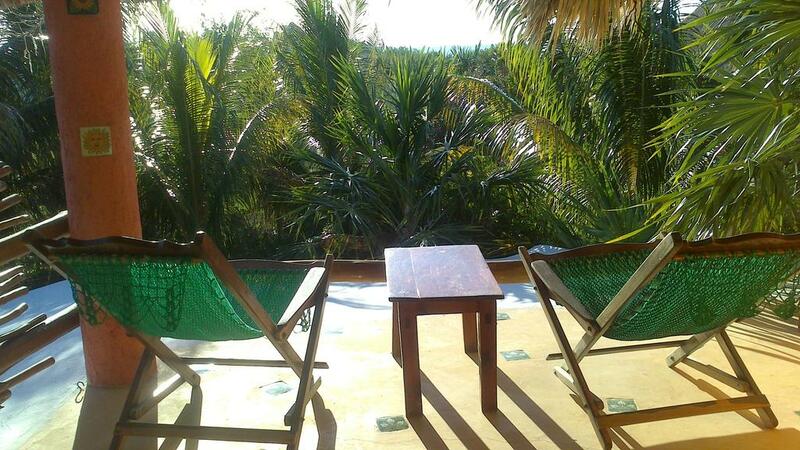 The beach is a few meters and there are palapas and chairs for reading and relaxing. 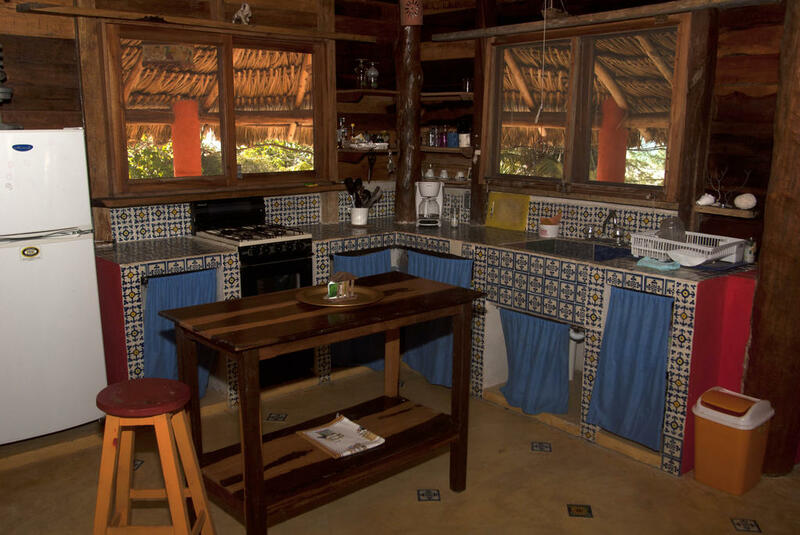 It has the café del mar, small restaurant open to the public and guests that offers breakfast, sándwiches, juices, coffee..
Casa Cereza it's the perfect place for those who want to escape from the stress. 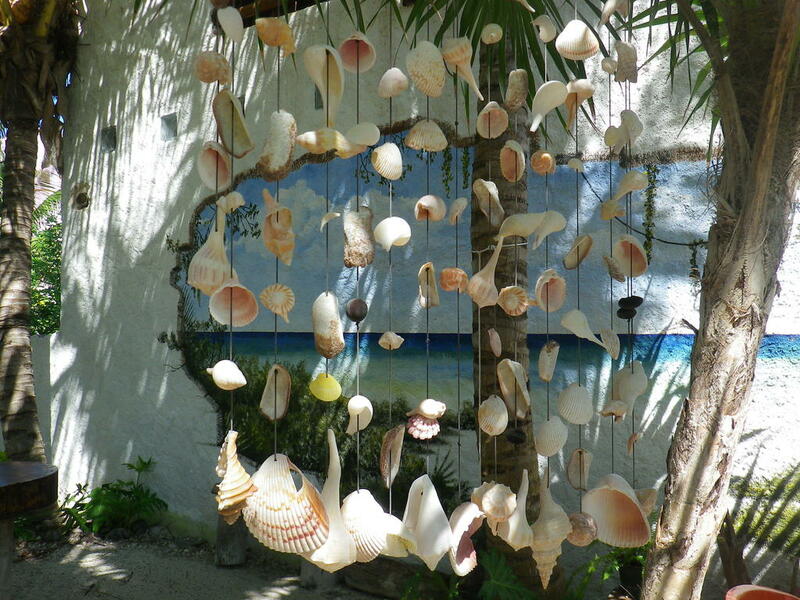 You can go fishing , walk in the beautiful beach looking snails all shapes, of diferent colors and sizes or just relax in one hammock with a good book. 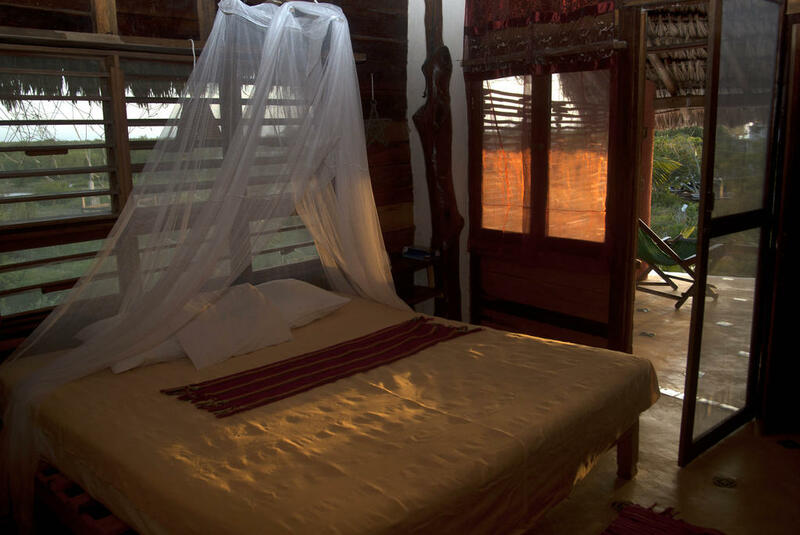 The second bedroom (queen size bed) has plenty of light and a spectacular ocean view from the bed. 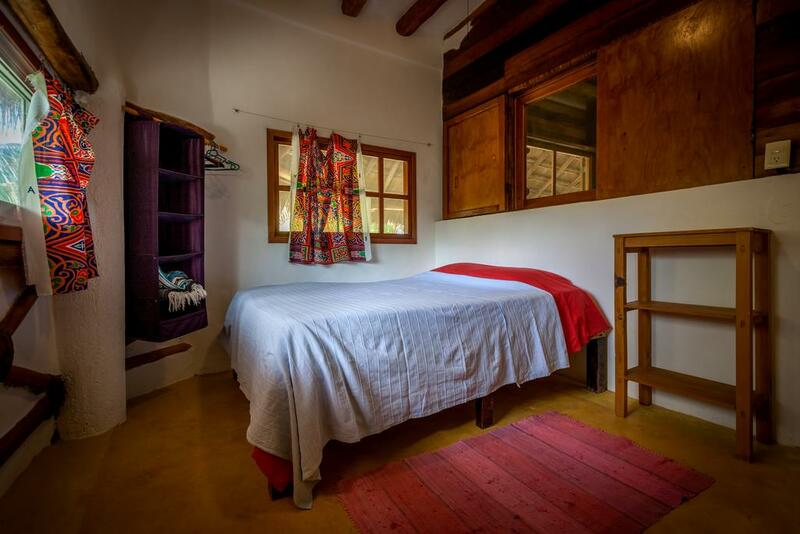 Occupation Casa Cereza: 2 to 4 people max .